Mini hotel "Play" is located in the ski resort Dragobrat. Tourists are offered double and triple rooms with private facilities in the room or in the block. 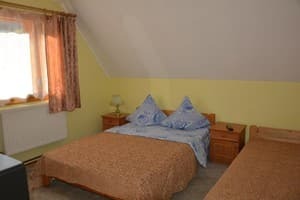 The rooms are equipped with double and single beds, bedside tables, clothes hangers, TV. 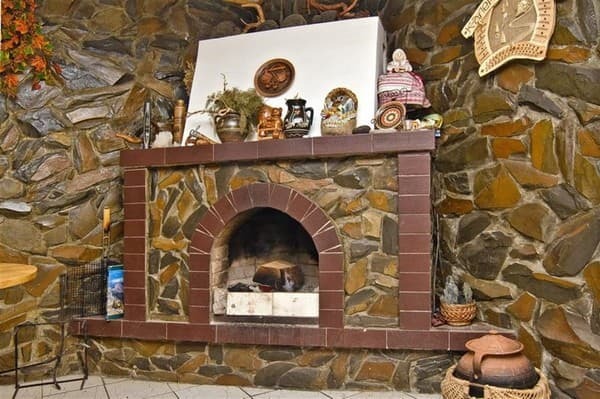 On the first floor of the cottage there is a dining room where you can order food and relax near the fireplace. 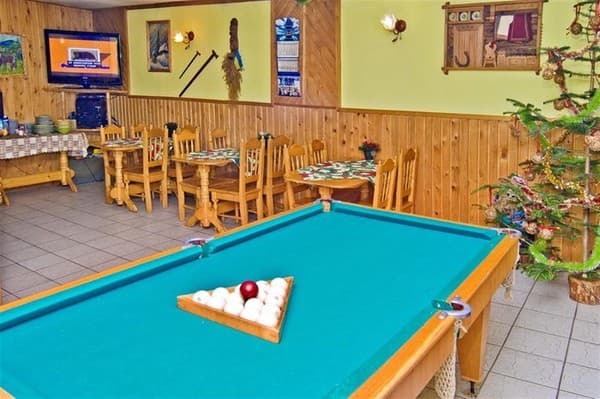 The hotel guests can play billiards, table tennis, relax in the sauna with a swimming pool. The nearest ski lift of the Carpathian Seagull is 70 meters from the "Plai" estate. 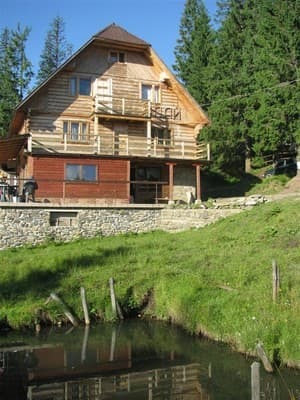 The distance to the Dragobrat TB lift is 500 m, to the Carpathian Mountains lift is 500 m.
Описание номера: A room where a company of friends or a family with a child can be located. The room has all the amenities. 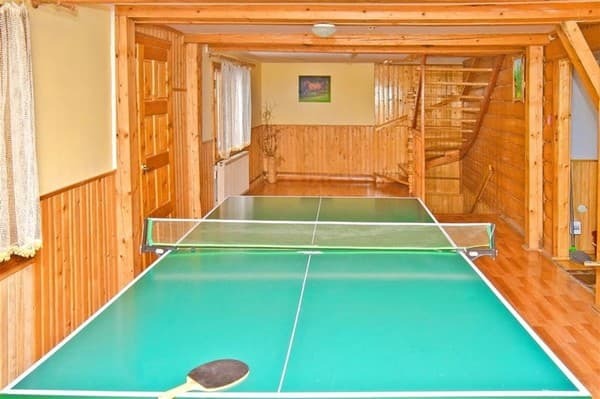 Description of the room: A cozy room for two people, where there is everything necessary for recreation. 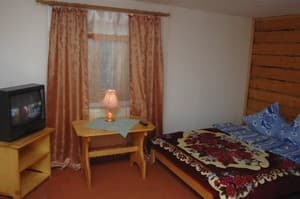 Описание номера: The room consists of 2 rooms. Понравилась атмосфера уюта и домашнего тепла. Очень гостеприимные хозяева. Идут навстречу пожеланиям. Чисто, уютно, приятно. Удобное расположение отеля. К подъёмникам максимум 7 минут хотьбы. В отеле уютно, комфорто и самое главное тепло. Персонал замечательный, огромная им благодарность. Мощная баня, вкусная кухня и отличное вино. On the first floor of the cottage there is a dining room. 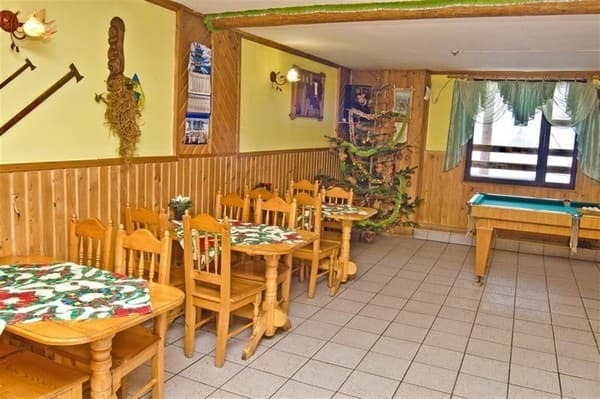 Mini-hotel "Play" is located in the ski resort "Dragobrat" in 70 m from the ski lift "Carpathian Seagull". Distance to the lift of TB "Dragobrat" - "500 m, to the lift" Top of the Carpathians "- 500 m.
To the village of Yasinya by train Lviv-Rakhiv, Ivano-Franovsk-Rakhiv or by bus. Then order a transfer to the hotel. By car - along the road Lviv - Rakhiv - Mukachevo (H-09) to the village of Yasinya, the road to Dragobrat is not accessible to every car, so it is worth to consult in advance. Perhaps there will be a need to leave your car in Yaseni and use the transfer.